#4 = Top Padres Fan Blog in MLBlogs!! I’ve been here at MLBlogs for man, almost three years now, and I am just so excited and humbled about where this thing has gone. February’s MLBlogs leaders came out today, and Unfinished Business is #4. That’s the highest that I’ve ever been, and I’m sooooo excited that so many people are passionate about Padres baseball from this fan’s perspective. This makes me undoubtedly the most popular Padres fan blog on MLBlogs.com. That means so much to me, and it’s kind of amazing. So thank you. Thank you for consistently reading. I don’t get many comments, but this list is evidence enough that there are lots of people who are reading and enjoying. I’ve probably never met most of you, and I may never meet you in this life, but I want to thank you for reading this blog and being so supportive of my efforts on this blog. I’m so thankful and so excited. It’s almost time for Padres baseball! Spring Training has been going pretty well, I think. We haven’t won all of our games, but we’re getting back into the swing of things. Lots of people are getting a chance to play. Opening Day is going to be here before we know it!!! Thank you again. It really means so much. Be sure to “like” my blog on Facebook and follow me on Twitter! 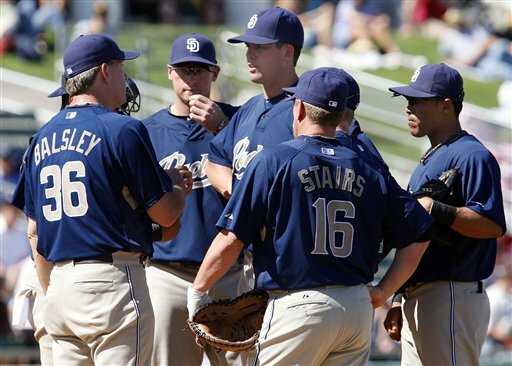 Your San Diego Padres played their first game of 2011 today against the Seattle Mariners. It was the annual charity game, a game played the same time each year against the same team. We didn’t win, but man, we were playing baseball. It was about time. It was actually a pretty good game by first-game-of-the-year standards. A bunch of guys pitched, and bunch of guys got hits and scored runs. Some highlights included Nick Hundley, who had two hits and drove in five runs. One of those hits was a grand slam, which at the time, pulled us in front of Seattle for an 8-7 lead. It was so sweet. Brad Hawpe, Chase Headley, and Luis Durango had two hits each, which is great. On the pitching side, it’s no surprise that we gave up 13 runs. Tim Staffer threw 1.2 innings and gave up five runs. Cory Luebke and Luke Gregerson got some time in, and a whole bunch of other guys too. It was really sad because we had a 12-10 lead in the top of the ninth, but the Mariners hit a two-run homer and tied the game. 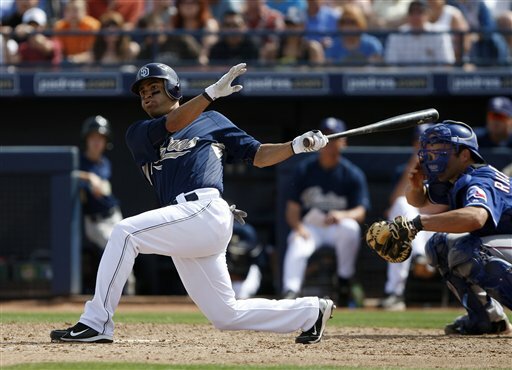 Former Padre Josh Bard hit a single in the top of the 10th to win the game. Oh well. It’s the first game of the spring. I’m just soooooo excited that we’re back. We’ve got so much to prove, but we’ve got so much potential. I haven’t heard any baseball since October 3rd. That awful day when we weren’t quite able to defeat the Giants. It’s been a long offseason, but I’m just so happy that it’s over. It’s over. We’re back. I kept very busy during that little break, and now we’re back to normal. I’m so excited about this upcoming season. So so so so so excited. It’s going to be an amazing year. We are just over two weeks away from pitchers and catchers reporting for Spring Training. 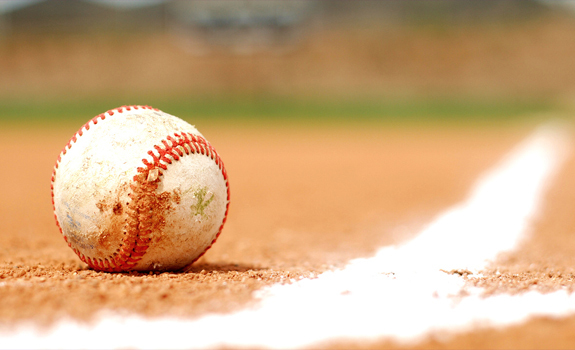 WE ARE JUST OVER TWO WEEKS AWAY FROM PITCHERS AND CATCHERS REPORTING FOR SPRING TRAINING!!!!!!!!!!!!!!!!!!!!!!!!! I am sooooo excited. Every year I’m always so surprised at how fast the off-season goes by. At the very end of the season, it seems like Spring Training is so far away, but it always flies by so fast. I’m also really excited about this team. It’s so different that it’s ever been. We’ve got a strange mix of new players, but I think it’s going to work out really well. We just signed Jorge Cantu, which is going to be great, plus we’ve got all these new guys like Aaron Harang, Brad Hawpe, Jason Bartlett, Chad Qualls, Orlando Hudson. I can’t wait to see how all those guys work together and become a team. There’s been all sorts of interesting things going on around the organization. The Padres Awards dinner was this week, and of course, Adrian won MVP. No surprise there. The Padres also announced two new jerseys, a gray road one and a new camo jersey. I really like the new camo. FanFest is in two weeks!!! It’s going to be so great. I can’t wait to go back to Petco Park! I don’t even want to count how long it’s been since I’ve been there. Too long. Way too long. Okay. I’m ready for Padres baseball now. Bring it on. Only A Week Away From Opening Day!!! I had a very busy weekend, so I wasn’t able to write about the games then. As a result, I think I’m like five games behind. So I’m not going to recap each one in detail, but I will talk about some highlights and news. I guess the most exciting thing is that we are on a six-game winning streak. We have won 13 out of our last 15, which is amazing. We started out the spring not-so-great, but we’ve really picked it up and look where we are right now: a week away from Opening Day. I can’t believe how fast this spring has gone!!! It’s amazing. The team is shaping up incredibly. I’ve never seen the team this good in the spring. And it’s not just the hitting or the pitching: it’s the hitting, the pitching, the defense, the relief, the bench, the baserunning. We’re amazing! I’ve never seen the team this sharp and so defined so soon. Jon Garland is going to be our Opening Day starter against the Diamondbacks in Arizona a week from tonight. He’ll be followed by Chris Young, Kevin Correia, and…we’re not exactly sure yet. But it’ll most likely be Clayton Richard and Mat Latos. A bunch of guys got sent down the other day, and I’d like to acknowledge a few of them for their outstanding springs. First, Matt Antonelli. Matt has been struggling a lot in the past few years, but he came out this spring and played amazingly. He hit .378 with 14 hits and eight RBIs. 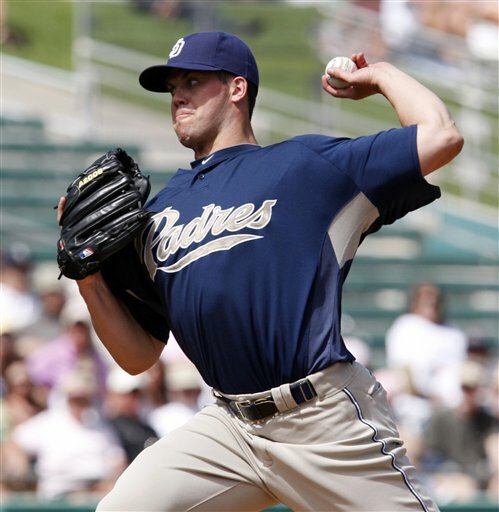 If he hadn’t had this good of a spring, I think the Padres might have given up on him. But he played really, really well, and I’m super excited to see him later in the season. There’s no doubt that he’s going to be up here sometime, maybe sooner than later. I mean, Eck’s our starting second baseman, and I don’t want his job taken away because he’s an incredible baseball player, but it’s good to know that we have Matt in case Eck gets hurt or sometime. Last year, we didn’t have a backup second baseman. Now we do. If we don’t keep David Eckstein after this season, I would feel very comfortable having Matt as our starting second baseman next year. Kouzmanoff trade (sniff sniff), but thankfully, he’s been really, really good. We got a good deal for Kouz, that’s for sure. He did excellently this spring. Check out the numbers: 12 hits, six RBIs, eight walks, seven stolen bases, .286 average, plus he was an amazing defender out there in the outfield. I loved watching this kid because he’s young, he’s energetic, and he’s really shown that he can play this spring. I can’t wait to see him up here in the majors later in the year. I think this is the kind of guy who could become a fan-favorite up here. I really do, ’cause I love him already. The cool thing about all the guys who were sent down, including Mark Worrell, Luis Durango, Logan Forsythe, and Dusty Ryan, is that they’re almost certainly coming back up during the season. This isn’t as much of a demotion as, hey, go down there, keep working hard, and we’ll have you back up before you know it. Logan, Luis, Matt, and Aaron have the potential to become stars with the Padres, and I think the organization has high hopes for these guys, maybe as high as the fans have. I’m really excited about all of these guys. It’s going to be sooo much fun to watch them when they’re up here. Just knowing that these guys are going to be coming up the majors later in the season would give me hope for the season. But we don’t just have that: we’ve got an amazing group of guys that are going to be in the majors all year. You can’t believe how excited I am to see my boys go out there and play some real ball. I can’t wait to see how good they’re going to be. We don’t know how good they’re going to be, but we know that they’re not going to stink. I don’t see how anyone could think that this season is going to be a bust. Sure, we might not be the best, but we’re going to be good. Really, really good. I can’t wait until it’s real, you know? We’re ready to go. I keeping a very open mind about this season. I know that we’re going to be good, but I’m not looking for championship. I’m just going to take one game at a time and go from there. One player that I’m really excited about seeing for the whole season is Chase Headley. I don’t know what happened, but he’s thrived this spring. He has been on fire. I don’t want to believe that the switch back to third had anything to do with it, but maybe it did. I don’t know. He’s hitting .293 with 17 hits and 21 RBIs. He’s really been on fire, and it would be great if he could stay like this for most of the season. By the way, my boys have 46 stolen bases so far on the spring. Isn’t that incredible? The only team anywhere close would be the Washington Nationals with 35. But man…who would have thought that the SAN DIEGO PADRES would be leading the majors in stolen bases?? Tonight we’re playing the Diamondbacks, which is a bit of a coincidence because we’re going to be playing them again a week from tonight on the bigger stage. I’m soooo excited!!! Regular season, here we come. Become a fan of Unfinished Business on Facebook! We played the Rockies on Tuesday and it was an interesting game. Very interesting. First off, I still can’t stand it when we play the Rockies. I’m not exactly sure why, but I think it has to do with the fact that half the guys are still on the team that was in that Game 163. And for some reason, I don’t think I’ll ever be able to forget that game. So it’s weird to be playing them. Second of all, Kevin Correia wasn’t the sharpest. He gave up a two-run homer to Carlos Gonzalez in the bottom of the third. Then we got a run in the top of the fourth. But then K-Cor gave up another homer to Chris Iannetta. Then we got a run in the top of the fifth. But then Kevin gave up yet another home run, this time to Troy Tulowitzki. Ugh. By then, the score was 4-2 Rockies. Not good. But then we found out bats, finally, in the top of the sixth. It was great. 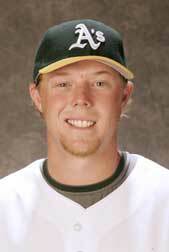 Cheadley had a two-run single, Nick Hundley hit a two-run bomb, and Aaron Cunningham hit a triple. Anwyays, we scored five runs to take a 7-4 lead. Edward Mujica gave up a couple of runs, but the rest of the bullpen was great. We stole three bases. We got fourteen hits. And we won 9-6. It was a goooood game. Great to comeback after that crazy loss on Monday. Some strange things went on, though. There was a play where Everth Cabrera got caught in a rundown. He was heading for second, the pitcher threw a pitchout, and Everth had to do the old running-back-and-forth-between-first-and-second-while-the-ball-is-being-thrown-over-your-head-back-and-forth game. Well, he finally got caught, but apparently he bumped into Troy Tulowitzki a bit and they exchanged some words and things got a little hot. Thankfully, nothing came out of it. It was just a little werid. Yesterday we played another great game. It was against the Mariners at night. Chris Young started, and he had a great outing. Six innings, three hits, one run, three walks, five strikeouts…yeah, I think he’s ready to go. Wonderful effort by CY last night. Seattle got their run in the top of the fourth, but the Padres were held scoreless for a very long time (we didn’t get anything until the seventh inning!!). We got out first run, the tying run of the game, on Yorvit Torrealba’s single to drive in Will Venable. Then Oscar Salazar hit this little bloop into right field, where it bounced off of Ichiro’s glove and allowed Everth to score. And that was it. Eck, Venable, Everth, and Torrealba all had two hits each. Great night for them. Mark Worrell and Mike Adams each had a scoreless inning. I don’t think I’ve told you how thrilled I am that Worrell is healthy and playing right now. I haven’t heard much talk about him this spring, but I wouldn’t be surprised if he was in our Opening Day bullpen. He’s been doing fairly well this spring, and I really hope that he’ll be able to help out the club big-time. Well, I guess I should say that he’s been a little better than “fairly well”: he’s yet to give up a run this spring. Heath Bell closed the game, popout, strikeout, strikeout. Not bad at all. We’re definitely getting closer to Opening Day, man. Good to see CY with a strong outing, just enough offense, and then the Heater to close things out. Just like old times. Today we’re playing the White Sox. Wade LeBlanc’s starting. Sweet. Yesterday’s game was a bummer. I hate it when we’ve got a comfortable lead, great pitching, amazing defense, and then we somehow lose the game because of some stupid relief pitcher. The game felt so much like a regular season game, it was crazy. But so cool. I can’t wait. Anyways, Clayton Richard started, and he was incredible! The pitching is really coming together. The starting pitching, that is. Clayton went six innings. SIX!! He only allowed six hits, no runs, two walks, and three strikeouts. He was sooo good!!! That was definitely his best outing of the spring. Wow. But he got a lot of help from his defense. We turned five, that’s right, five, double plays behind him. Everth Cabrera and David Eckstein made some incredible plays. These guys are so great. Our infield would be dead without them. Seriously. I’m so thankful to have them playing for us. On the other side, Arizona’s pitching was very good too. In fact, neither team scored until the top of the seventh. 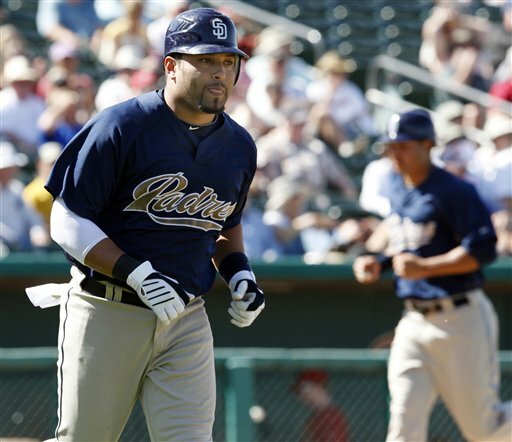 The Padres broke through when Yorvit Torrealba drew a bases-loaded walk. I think there were like three walks in a row. HAHA!! We got two more runs in the top of the eighth. I think Chase hit a two-run double or something. Anyways, it was really cool to have a 4-0 lead when we got another run in the top of the ninth. Looks like we’re going to win it, right? I mean, great pitching performance by Clayton, some great defense, just enough hitting, and it’s the top of the ninth. I was very excited, and I really thought that we were going to win this one. Think again. This relief pitcher, Greg Burke, had to go out there and give up four runs. In the bottom of the ninth. I was not happy. Then Edward Mujica gave up a run in the bottom of the tenth, and we lost. It was very very sad. I hate it when the bullpen blows it like that! It’s not cool. Not cool at all. Clayton deserved that win. Argh. Well, at least we turned five double plays and stole three bases and got six hits and a error. I know it’s just Spring Training, but we should have won that game. No excuses. We’re playing the Rockies today. K-Cor’s going to start. GO KEVIN!! What a great weekend of Padres baseball. We are now officially two weeks away from Opening Day, and this team is looking amazing. Just take a look at these past few games. On Friday we played the Dodgers for the first time of the spring, and we whupped them. Not too bad, of course, but good enough: 9-4. Bwahaha, it was a great game. Chris Young allowed a few baserunners in the top of the first, but he was able to get out of it without allowing anything. Hiroki Kuroda, starting for the Dodgers, was not so lucky. Kyle Blanks singled in Eck, who had walked. Chase tripled in Kyle. So sweet. But CY ran into a little trouble in the top of the second, givine up two runs to allow the Dodgers to tie the game. They got another one off of Chris in the top of the fourth. CY left the game after four solid innings: he allowed seven hits, three runs, and three walks. He also struck out three batters. Chris has always had really bad springs, but he’s not looking too bad this year at all. It’s just good to see him on the mound at all! In the bottom of the fourth, Will Venable hit a solo home run, his tenth hit of the spring so far. The Dodgers fought back again by getting a run in the top of the seventh, but the Padres pulled off a six-run bottom of the seventh highlighted by a Chris Denorfia triple, a Tony Gwynn single, an Oscar Salazar double, a Matt Antonelli single, and a Dusty Ryan three-run homer. It was a great inning! 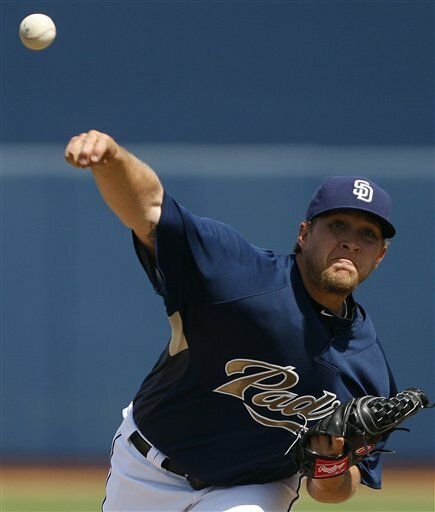 On the pitching side, Adam Russell, Heath Bell, and Greg Burke had scoreless outings. Mike Adams gave up a run, but he ended up with the win. Joe Thatcher closed out the game. That was an amazing game, not just because we won 9-4, but because it was against the Dodgers. It’s always really cool to beat LA, no matter what context. On Saturday, we played two games: A 4-1 win against the White Sox in the afternoon, and then another win against the Dodgers, 5-1, that night. The game against the White Sox was a pitcher’s duel between Mat Latos and Mark Buehrle. It was so amazing! Mat threw five full innings, only allowing one run on two hits. I’m telling you, this kid could be the next Jake Peavy. Man he’s good. All the starters in our lineup got at least one hit except Nick Hundley. We got our first couple runs in the top of the fourth. Then we got one in the seventh and one in the ninth. Stauffer and Mujica pitched after Latos and pitched very, very well. The second game of the day, which was technically split-squad, was also amazing. Wade LeBlanc was also incredible, and I’d say that he was a little better than Mat Latos. Wade only gave up one run on one hit, while Mat gave up two hits. Oh dear. Mat needs to work on that. But seriously, Wade was ohmygoodness amazing. He threw five innings, one hit, one run, one walk, three strikeouts. SO GOOD!!! We had a four-run second inning in which Yorvit Torrealba singled in a run and Matt Antonelli hit a three-run homer. Have I told you how glad I am that we have Yorvit Torrealba? That guy was so good with the Rockies, especially against us, and I’m soo happy that we finally don’t have to have him as an enemy anymore. I think he was the guy who had like two ninth-inning run-driving-in-hits against Heath two nights in a row and I was there for the second one and I was furious against Heath and Yorvit. And I mean FURIOUS. It was not pretty. Thankfully, we were able to win that game in extras. I shudder to think of what might have happened if we hadn’t. Anyway, I’m very very very very happy to have Yorvit on our side. Adrian Gonzalez drove in a run, which was sweet. Kyle Blanks went 4-for-4, which is even more sweet. And, we won another game against the Dodgers. It doesn’t get much better than that. By the way, there was a huge crowd at the game: 13,506. Wow. What’s more, we won yet another game yesterday afternoon. This time the Rangers were our victims, and we sure victimized them. Final score? 14-5 us. Ha. Sean Gallagher started the game, and though he wasn’t the best, thank goodness that his offense is on fire right now. He allowed five runs in the top of the third, but otherwise, he threw four innings, allowed five hits, didn’t walk anyone, and struck out two. But here’s another thing: the Rangers only got one more hit in the entire game after Gallagher left. So that was good. In the bottom of the fourth, we got six runs. Will Venable led off with a double. Nick Hundley grounded out, sending Will to third. Chris Denorfia tripled Will in. We then got three straight walks, the third of which was with the bases loaded. Thus, we got another run. T. Gwynn grounded out, giving us yet another run. And then, the big blow: Jerry Hairston to the Jr. hit a three-run homer. YES!! Things stayed scoreless until the bottom of the eighth. Meanwhile, Jerry Hefner, Heath Bell, Mike Adams, and Mark Worrell pitched perfectly. It’s a good thing to see, the bullpen coming together. In the bottom of the eighth, like all the starters were replaced by guys that I’ve never even heard of. But good for them to get eight runs. We finished the game with 14 runs and 16 hits. We have now evened our spring record at 9-9. I think that’s great. We’re on a five-game winning streak. I know it doesn’t mean anything, but it sure is good to see this team doing well and winning some games. See? I told you there was nothing to worry about. You know what else is great? Jeff Moorad is almost ready to purchase the next part of the Padres. I’m so happy. He’s brought so much good to this club, and I can’t wait to see how it will all play out. We’re playing the Diamondbacks today. Clayton Richard’s starting. I’m super excited about Padres baseball right now. We’re looking great, and it’s two weeks from today that we’ll finally open the regular season. I’m SOOOOOO excited!!! Become a fan of this blog on Facebook!